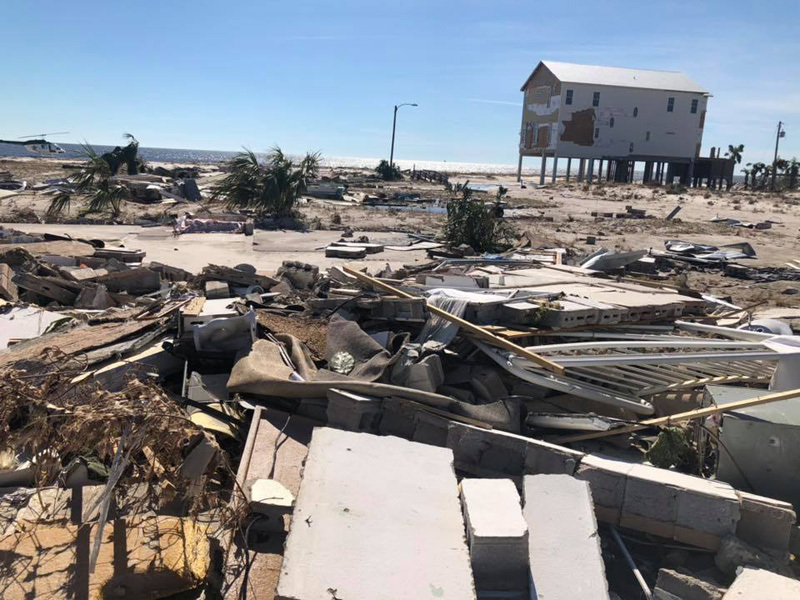 Wednesday marked six months since Hurricane Michael made landfall in Northwest Florida, leaving behind a trail of death and destruction. Michael came ashore as a Category 4 hurricane with winds of 155 mph on April near Mexico Beach, with destruction reaching well inland. About 50 deaths have been attributed to Michael in Florida. Pictured: Destruction in Mexico Beach just days after the landfall of Hurricane Michael. NorthEscambia.com photo. 70 years around these parts but “Michael” left a very sobering memory !